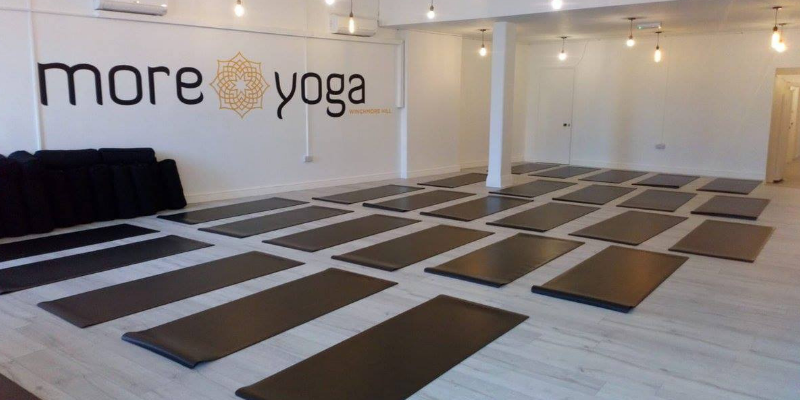 LONDON, United Kingdom — London-based yoga studio MoreYoga aims to reach 50 studios in the capital by the end of 2019, as part of a pioneering move to support Britain’s ailing high streets. The UK’s fastest growing boutique yoga brand, with a portfolio of 18 sites including Soho, Brixton, Aldgate, Old Street, Bermondsey and Camden, has pledged to be at the forefront of rejuvenating London’s high streets, by opening more of its thriving yoga studios in empty hyperlocal locations. “The fitness market in London is showing no sign of slowing down, and we are harnessing this opportunity to help our high streets adapt and thrive,” said Daniel Marin, Head of Sales at MoreYoga. Having launched its first studio in 2016, MoreYoga has scaled quickly by offering affordable classes at studios conveniently located for people’s day-to-day lives. The chain currently serves over 5000 customers, works with over 200 yoga instructors, and brings in an annual revenue of £2.5m. Founder and Managing Director, Shamir Sidhu’s vision of providing a stripped back yoga studio concept on the high street has resonated with consumers searching for high-quality teaching in an accessible environment, at a price that isn’t an obstacle. Memberships are available at a range of prices from £32-£75 per month, with individual classes starting at £9.50. Recognising that high streets are a crucial part of local economies, now the brand plans on taking over empty retail spaces across London to keep them fit for the future and continue growing its vision. Deals are already in place to open more than 10 new locations in areas such as Uxbridge, Stratford, Hackney Central and Stamford Brook, with many more locations to follow. “Our key aim is to make yoga available to more people, so everyone can benefit from this incredible practice. We strive to be the beating heart of energy and consciousness in London, with 100+ MoreYoga studios in London by 2022,” commented Sidhu. Beyond the capital, cities such as Bristol, Newcastle and Manchester are also on the cards. This will see the brand become the exclusive provider of Yoga and Hot Yoga classes at the leisure centre, which will be accessible to both members of Everyone Active and members of MoreYoga. For MoreYoga, the initiative will help to bring its unique model to more people across even more communities.